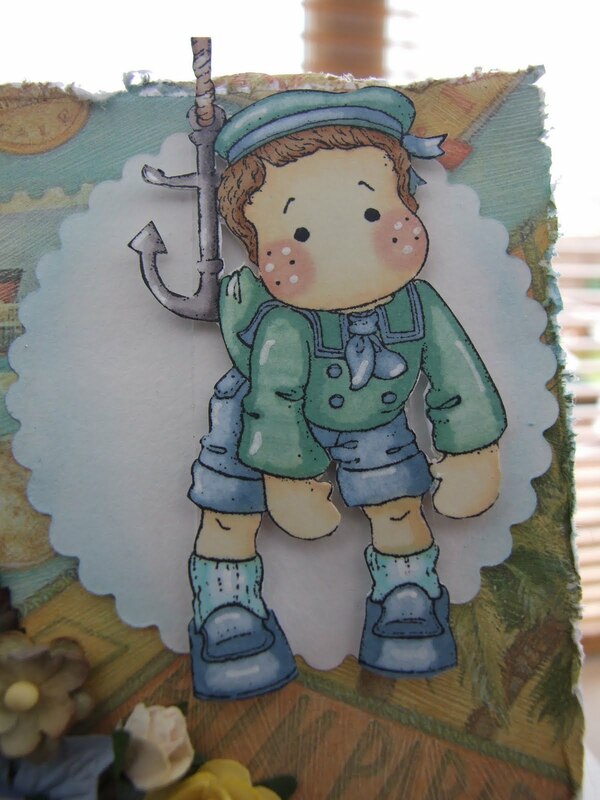 Anyway onto this card, the images are from the new Bon Voyage collection which I'm gonna have to get me some of them!!! To be honest I'm not sure what I think of this card, my hubby loves it its his fave out the 1s I made ladt night but its actually my least fave....I just dont think I have done Tilda & Edwin justice :-( I think maybe my mojo was running out......I had stopped rolling down the river & was now in the thing lol. Anyway see what you think, here they are.. The colours I have used from a photo on Crafty Cardmakers which had to be used for inspiration, I'm actually entering it twice their as their other challenge is Easel cards & you know how much I like easel cards lol. The papers are from K&Co called Travel. Here is Tilda, these stamps are sooo sweet & cute I love 'em!!! The brown things at the bottom are meant to be suitcases lol they again were cut out on my Cuttlebug. The charms are fom my jewellery stash & I just cut the loop off them with my cutters. The flowers & buttons are also from my stash, the button mirror is meant to look like a port-hole what Tilda climbing up to see thru, I found it in my button stash. Finally the tag is from Tim Holtz.....bet most of you knew that already anyway. Oh I love it! So fab, the wee Tilda and Edwin look funky in there wee sailor outfits! Loved how you matched the challenge colours brilliantly! 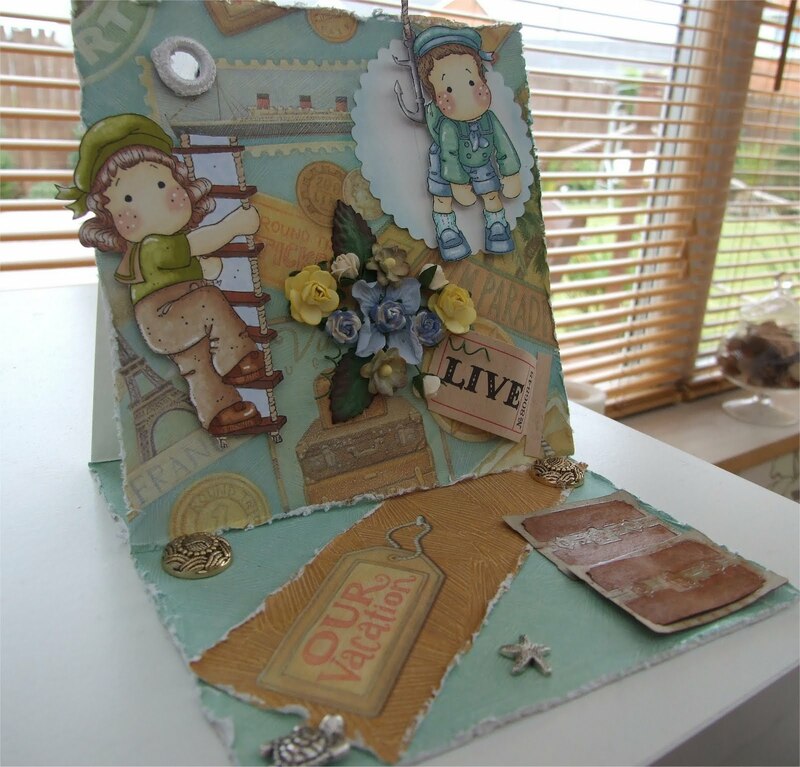 Thanks for joining us at Crafty cardmakers this week! oh wow.this is amazing vicky.i love the images and what a huge ammount of fantastic details.this is a real corker hun. Second time lucky posting this! Basically you haven't got a clue what you are on about - not giving justice to Edwin and Tilda??? Huh I am sorry but I am going to have to agree with your husband here (not that I ever agree with my own husband LOL) - it is AMAZING!!! This card is amazing! You should have more confidence in your cards, they are all lovely! Tilda and Edwin are coloured in beautifully as always! I love how Edwin is just hanging there, this stamp has the cute factor! Well done and be proud of your work! Could I politely ask you to please switch off word verification for next time please. It takes a long time going round all the blogs to comment, having to wait while it refreshes and then having to type in that extra word is very frustrating. Vicky!!! This is absolutely gorgeous! Have to agree with hubby on this one.....you did it just perfect! I have these stamps but have not used them yet. Was waiting to see how someone else did them up and am so glad you were that someone as these are just wonderful. I really wish I would learn to color and shade so good! Love all your creations! It would take me days to even try to make something even half this nice....no way I could make 3 in one night! OUTSTANDING! WOW! This is brilliant, Vicky. So much detail and effort goes into your cards, whoever receives them must be thrilled to bits! Wow, your coloring is so gorgeous! That's one fabulous card! 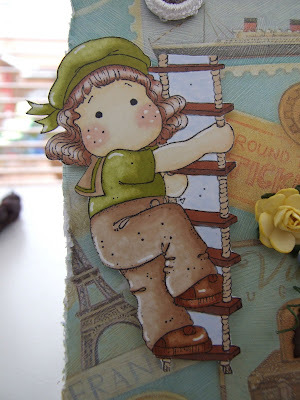 It's an extremely sweet card, I love the little Tilda and Edwin, I see why is yoyr hubby's favourite!!! ohhhh this is such a lovely card. i have not used my stamps from this collection at all but you really gave me inspiration. i love how you arranged Tilda and Edwin on your layout! 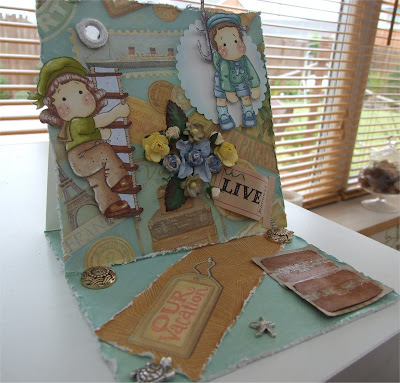 Fabulous card,I like the layout and you have coloured Tilda and Edwin beautifully. What a wonderful card Vicky. It is cute! So many details! You are really lucky to have all these magnolia's stamps at yours! I love your creative works! Fantastic cards....I think my Maggies are my adopted babies..just have to have a fix with them! 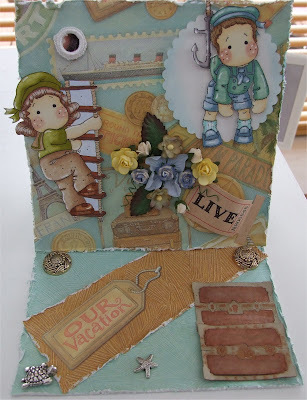 Very fun card design and embellishments.